AFCA Forums > Antique Fan Collectors Association > Pre-1950 (Antique) > Which lucky duck got this one? I reckon quite a few of you were waiting at the door before the estate sale even opened. Did a member get it? What would something like that sell for, if both the seller and buyer knew what they had? In an estate sale in Wichita. Started today at 8:00. I gave them a call at 8:15 and it had already been sold. Richard Daugird wrote: What would something like that sell for, if both the seller and buyer knew what they had? I don't know for sure, but A LOT. Telephone booth fans rarely come round, and this type is the rarest from what I know. I saw a pancake sell for $6,000, so I wouldn't be surprised if it could fetch ten. Anybody in the Dallas area should check out this estate sale! Good on whoever got it. The last time one came up I can remember, an auctioneer in Ft Wayne contacted us on this site. He knew how to sell stuff, I was on the phone and the price was out of site before you could blink. The seller was a very happy person. dang, hate to see that. what a cool fan! never even saw except in pictures. 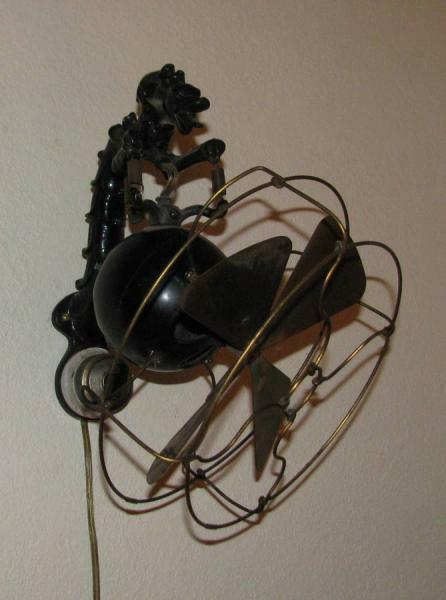 That's probably the same fan that was at the estate sale the OP mentioned initially, just checked the listing and it currently has 17 bids and is currently going for $3,350 so hopefully someone here gets that fan and not some looney person that would convert that fan into a lamp! That fan is too rare and valuable to be making it into a lamp! Nice tidy profit for the eBay'er. Wonder if their related to the "Estate Sale" owner. Why would they let something go for 1/4 of the value? Doesn't seem fair. By "Estate Sale" I didn't mean the owner, I meant the estate sale company. You're talking about the second sale, I was only talking about the Dragon Fan. It sold for $5500 on eBay and was reported to have sold for $1500 at the estate sale. I made a run at the one on EBay, but fell short. Page processed in 0.2237 seconds (16% database + 84% PHP). 56 queries executed.